For every successful startup that is publicized, known and celebrated, 10 fall by the wayside and are forever interred in the graveyard of failed startups. Startups is a hot term right now. In fact, for a while now but pertaining to different industries or technology categories e.g. Cloud, Big Data, Artificial Intelligence, Digital Transformation and more. Most times, it would have to be either technology leveraged or based. Many startups therefore have technology roots. Some who can see pass technology get to enjoy productising what they started and a few get to then transform these products and solutions into business value proposition and be a successful enterprise. But for every successful one that is publicized, known and celebrated, 10 fall by the wayside and are forever interred in the graveyard of failed startups. Although that is considered the nature of startup ventures, it is nonetheless sad and, to an extent, wasteful. There are two very basic reasons – at least – for failure of startups. One is based on Attitude and another Aptitude. The ATTITUDE part is like the founder is on an overdose of technology Kool-Aid. It is understandable, on a good day, to be adverse to being intoxicated with one’s great idea and sometimes brought to false sense of security by friends and family. Founders also do not take kindly to people telling them that their ‘baby’ is ugly! APTITUDE complements this ATTITUDE by channeling all thoughtful energy towards the WHAT that technology will deliver – very much like creating a solution – without establishing the WHY – the problem statement that the supposedly solution is to solve. With this, somewhat like blind leading the blind, down the startup goes. Advisors and consultants are assembled to help and support a fledgling startup because the checklist called for it. Engaging these professionals is only impactful if their advise and proposals are not only accepted, but executed, and not just to do it for show. Many startups tend to do that step of forming advisory councils and panels but coward off implementing – not because they are afraid, but arrogant about the fact that what they hear and counselled upon – telling the founders things are not as rosy and not just about technology – is not part of their comfort zone and cannot accept that their ‘baby’ is not as pretty as they thought. Strategy formed to deliver on the objective relevant to the profile of the market lays on the wayside of the now perilous task. Execution is now on tactical things not aligned to the strategy planned and thus will not deliver on the objective in the addressable market. Without relevant execution, great strategy is just wasted ink on good paper. Without execution, nothing gets done while one still lie in the laurels of a fantasy cloud of self praise and self contentment with technology, and technology only. Therefore, who killed startups in this case? FOUNDERS. Of course generalisation is unfair but for the sake of this article and from experience advising and counselling, this is the conclusion. 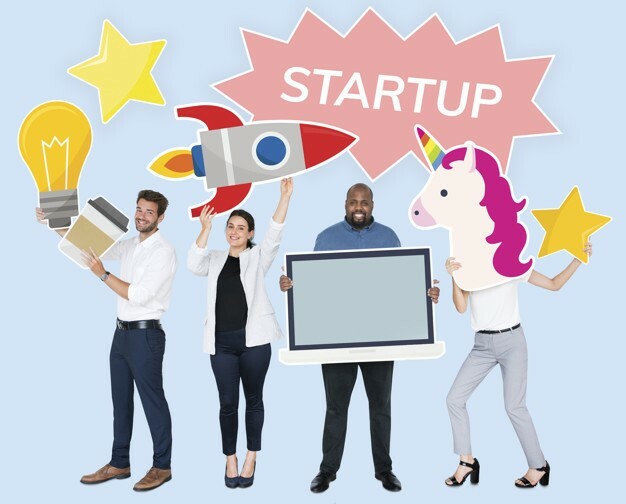 For Founders who are open to new ways of solving the challenges and focused on the bigger picture – the WHY – and beyond the current important WHAT – usually technology – we have that very needed opportunity of a startup that can be given a chance to not just survive, but thrive and become the much desired unicorn. This combines the ATTITUDE and APTITUDE of de-linking a great idea and the big picture needed – structure for coverage like Marketing, Business Development, Services, Support etc – for long term growth.